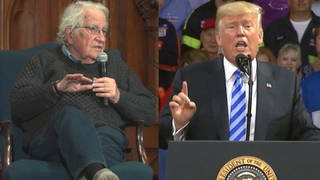 Mark Green v. Robert & Christopher Scheer: A Debate on Kerry & the Democratic Contenders | Democracy Now! The event also featured Mark Green co-author–along with Eric Alterman–of “The Book On Bush: How George W. (Mis)leads America.” Green was New York City’s elected Public Advocate (1994-2002) and Democratic mayoral candidate for New York City in 2001. We hear excerpts of the discussion that centered around the Democratic candidates’ allegations that President Bush lied about the reasons for going to war. Mark Green, co-author of “The Book On Bush: How George W. (Mis)leads America.” Green was New York City’s elected Public Advocate (1994-2002) and Democratic mayoral candidate for New York City in 2001. AMY GOODMAN: We’re going to go to an unusual debate right now that happened yesterday in New York at the CUNY grad center, the City of New York grad center. The Scheers were there, along with Mark Green, who was the Democratic nominee for mayor here in New York. He wrote the best-selling book, Who Runs Congress?, years ago. He has written 18 books since. And they were both there to talk about, well, in the Scheers’ case, the five biggest lies that Bush told us about Iraq. In Mark Green’s case, he is the co-author of The Book on Bush: How George W. Misleads America. It is also the case that Mark Green is the co-chair of the Kerry for President Campaign here in New York State. That’s where the debate started. We’re going to turn to the end of Robert Scheer’s speech–each gave a presentation–where he turned to Mark Green and challenged him to write a speech for John Kerry on the issue of “lies.” We thought we would just play this interaction with Robert Scheer, Christopher Scheer, and Mark Green, beginning with Robert Scheer. ROBERT SCHEER: You have got to get to Kerry and say, “You will not have the support of the people that I know in New York, and I will resign if you do not — if you do not make the lying and deceit around this war the central issue of your campaign. Okay? And — now, I got the speech. I could help you write it. It’s okay to say you were fooled. It’s okay to say that you were lied to. Once fooled, okay. It’s all right to admit there was a moment of madness, weakness, terrorism, so forth. But the main reason you have to do this is not just to save the vitality of democracy to show that our elections mean something. You cannot have a progressive domestic agenda if you spend this kind of money fighting phantoms. You can’t do it. You can’t do it.” And so anyone who tells you that we will really do any — and the President has told us with his current budget, you will not build schools, you will not improve Medicare, you will not take care of Social Security, you will not do any of those things if you don’t get off this military budget. You won’t do it. And so that’s why any Democratic candidate, I personally favor Dennis Kucinich because… Just so I’m not a rank opportunist here, I just want to tell you that my reasons are not the same as yours. The last time Dennis Kucinich… Dennis Kucinich is a great guy, by the way. I interviewed him when he was mayor of Cleveland, when he wouldn’t sell the public power plant. He was way ahead on every issue. By the way, Dennis Kucinich defeated Martin Hoke, who was a Newt Gingrich right-hand man. He does not represent some lefty liberal district. He goes very far outside of Cleveland. He’s a great guy, but I asked him not to run because I didn’t want to see him lose his congressional seat. The main reason is, I said, “Dennis, the last time that you lost, you moved in with me for a year, and I don’t quite have the space.” Dennis proved me wrong on this. Dennis has run an honorable campaign to keep these people straight. You know, a very important campaign. But he isn’t going to be the candidate. Then we have to make the demands of the people who will be. This is where you come in. I’m serious. We cannot… You know, it’s all… I’m also all for lesser evil. I understand the danger of Bush and so forth, but I’m telling you, we as a people have a need, not just a right, but a need to debate these lies and this change of our priority, or we will lose our democratic society. That’s the key. So, let me end on that. Thank you. AMY GOODMAN: Mark Green, right of response. ROBERT SCHEER: Can I just respond for a minute? ROBERT SCHEER: I really want to agree with you. But I can’t. No, I’m serious. I don’t want to… Let me take it away from Kerry for a minute. Henry Waxman, who you mentioned before, is my congressman, and he’s a great guy. I have known Waxman for 30, 40 years, but he voted for the war. And I think… and now a lot of people in the district want to know why he did. I think Waxman has raised a lot of questions about the occupation and what’s going on and so forth, but he, at some point, has got to say, “I was deceived.” And that is an impeachable offense, you know, whether we get around to it or not, you know, come on. You know, and my feeling is that, you know, we aren’t so different. You have a lot of influence. You’re a great guy. You have a tremendous record of being a responsible, dedicated person. You know, I’m not going to take that away from you. That’s precisely why I would say you have to, you have the right to say… People that you talked to–I hope this is true because people I talk to feel this way. They don’t know. “Should I go for Clark? Should I go for Kerry? What happened to Dean?” What they’re confused about is do these people mean it? Are they going to “walk the walk?” Are they going to really do it? Are they going to really take it to Bush? Are they going to really challenge him? Those are questions that we have the right to answer, and I don’t think Kerry has gone far enough yet, you know? He hasn’t. I beseech you to… It’s not enough to say they’ve messed up the occupation. It’s not enough to say, they didn’t… you know, they’re making enemies and so forth. What he has got to say is this guy lied to the Congress of the United States, which is a crime. That’s what he has to say. We were deceived. AMY GOODMAN: And that is Robert Scheer in the introduction to the debate that will continue with Mark Green and Christopher Scheer. Robert Scheer and Christopher Scheer have written The Five Biggest Lies Told Us about Iraq. Back in a minute. AMY GOODMAN: Lucas Rapman singing “21st Century Blues,” here on “Democracy Now! The War and Peace Report,” as we return to the forum which was sponsored by Pacifica station, WBAI, here in New York yesterday, that I was moderating between Christopher and Robert Scheer, authors of The Five Biggest Lies Told Us about Iraq, and Mark Green, co-author of The Book on Bush: How George W. Misleads America . Mark Green was the Democratic nominee for mayor here in New York, has written eighteen books, and is now the co-chair of the New York State “Kerry for President” Committee. This is Mark Green. MARK GREEN: The Democratic nominee for President, who actually has to get votes outside of Manhattan–in places called… West Virginia is a swing state, Florida is a swing state, Ohio is a swing state–could indulge their middle-of-the-night impulses and use the word “liar” and “criminal,” and then Bush is President for four more years, and then Bob and his son will write even more sequels. You tell the truth. You… He has been brutally and accurately critical of President Bush. The word “crime” and “lies” is an interesting word. It’s a ”BAI” word. It’s a Manhattan word. The goal is to get 270 electoral votes in November. If you want to use those words, I welcome it, but it’s not the world we live in now. Let’s face it finally. Congress is in control by the Republicans, not because of anything we’ve done in this room, so it is a futile waste of time to urge Congress to have hearings, to impeach the president, a process that, of course, was politically abused three years ago. It is not a waste of time politically to go into swing states with money and intellectual capital and volunteers to win the states and win the presidency. ROBERT SCHEER: It’s his favorite city, but we have to send him a map. 34th street. CHRISTOPHER SCHEER: Got it. But come on. You know, if you don’t hold the people to the fire, then they would act in a certain way. So let’s not put all our eggs in one basket, and let’s just keep telling the truth. MARK GREEN: Can I poll the audience, and I’ll report it on radio here. First, of an audience of 200-some-odd people, raise your hands if you voted for Ralph Nader in 2000. OK. About half the audience raised their hands. Now, of those people, only who voted for Ralph Nader in 2000, half of 200, when he announces he’s running for president again, within two weeks, how many of you, if it’s Bush, Kerry, and Nader, would vote for Nader again? OK. About eight people out of 100 raised their hands. And one last point… I’m sorry. CHRISTOPHER SCHEER: Depends on what Kerry does say. MARK GREEN: OK. Assume Kerry says for the next eight months what he has been saying the last four months which is likely… One last point, just personally speaking, February 15th, I, like many in this audience, marched in New York and at 800 locations around the world, in the greatest mass protest against a selective, unjustified, unilateral, preemptive war. So, were I in Congress, unlike our friends, Henry Waxman and John Kerry, I would have voted differently, but having written the book on Bush, I’m very focused on beating Bush. If you disparage that as pragmatic, I’ll plead guilty. Thank you. CHRISTOPHER SCHEER: It’s not disparaging. MARK GREEN: Let’s get some questions. ROBERT SCHEER: I want to respond, because you said something that I felt is a little bit personal. First of all, I think it’s a discussion worth having and not avoiding. I have supported the lesser evil all my life. Believe it or not, I even had the courage to wear an “I like Ike” button in the Bronx, OK? Because I thought Eisenhower would be a more peaceful president because he experienced war. And actually, I’m not ashamed of that sentiment, because I think I was the only one in my neighborhood who felt that way, and maybe the only one in the whole Bronx who felt that way. Every time you make this kind of argument, somehow you’re pushed…as if… Oh, this is what the Republicans do, by the way. “You’re not a normal American. You must live in Greenwich Village or 34th Street. You must be a Naderite. Real Americans cannot take the truth, or they don’t think this way.” Just to set the record straight, you know, I lived in Orange County, California, for ten years. Most of my life has been, I think, around Republicans, and now I’ve lived in Los Angeles, which I don’t think is a hotbed of leftism. I write for the mass media. I have written for the L.A. Times for 30 years. I have seen… I want to guarantee you that I would give the same speech here that I would give, you know, in Anaheim or any other place. I don’t believe in pandering to an audience, and I don’t accept the idea that the average American wants to meddle in the world, wants to be imperialistic, wants to waste their resources on the defense industry, and I agree with Christopher in that respect. I think, you know, Dean… They then ended up denigrating anybody that supported Dean, the mass media did. I think people supported Dean, because he was speaking the truth. He was being honest and straightforward. Wow, the media just smeared this guy a thousand different ways. So, let me… I want to say one little thing about language, sometimes you’ve just got to tell it. You’ve got to tell the truth. Okay? And I… As I said before, I did not like the word “lies.” Okay? I was… Christopher can tell you, and we had a lot of discussion about it; but if Clinton lied about Paula Jones, OK… The American people and the Republicans, by the way, did not hesitate to say that, you know? The Republicans have sharp elbows. They’re not afraid to talk that way. Well, if they can go running around and talk about impeaching this guy, you know, or maybe they like the word “censure,” which Moveon has now. OK, I’ll go for censure. They can talk about lying. Here we’ve had the most egregious example of lying in the history of this country. Nothing has come close. We have been lied into a war, you know. The lying is blatant. It’s exposed. It makes the Gulf of Tonkin lying pale in comparison. It makes Watergate pale in comparison, you know, and if Democrats are not willing to get out there and take these guys on, you know, it’s seems to me they won’t win. They won’t win. MARK GREEN: Bob. Bob, if you were advising Senator Kerry, would you urge him to call Bush “a lying criminal who should be impeached?” Yes or no? ROBERT SCHEER: Yes. I tell you exactly what I… I told you… I am willing to write the Kerry speech. I will give it you to right now. ROBERT SCHEER: The answer is yes. MARK GREEN: But one second. But it wasn’t right to impeach Clinton. You see, it wasn’t right to impeach Clinton. And so, you have elections. One last thing: the lesser of two evils. What kind of premise is that? John Kerry is about to be attacked for being as liberal as Ted Kennedy, and he is. So, you have a northeast Massachusetts person, with a 90% voting record on the issues that we care about, and somehow it’s been articulated here, because he didn’t write The Five Biggest Lies Told Us about Iraq that he’s only the lesser of two evils. By the way, he is a 20-year progressive Democrat with the voting record of Ted Kennedy, so just let’s get our heads screwed on right about this fall election. AMY GOODMAN: And that is Mark Green, who is the co-chair of the Kerry for President Committee here in New York State debating Robert and Christopher Scheer, The Five Biggest Lies Told Us about Iraq is their book which they wrote, along with Lakshmi Chaudhry, this at a WBAI forum yesterday at the CUNY grad center in New York. Christopher Scheer then responded. CHRISTOPHER SCHEER: To vote on whether the United States of America should go to war, invade, occupy, and completely rule another country, you have the onus on you to dig a little deeper. And I don’t expect… And let me add to that, because you said that John Kerry should have written The Five Biggest Lies Told Us about Iraq. I shouldn’t have had to write this book. I’m a 36-year-old kid who lives on the west coast of the United States and is happy if I can just hang out with my four-year-old. I didn’t want to be here speaking. I don’t want to be running around the country doing this. I’d much rather the John Kerrys of the world take care of business and make sure things like this don’t happen. That would be ideal. Why I had to write this book is beyond me. Why I had to write a little article on a little tiny website called Alternet, and it had to be sent around by email, from person to person to person, until 500,000 people had written it, why The New York Times couldn’t have written that and put it on the front page and said, “Somebody should resign,” I don’t know. AMY GOODMAN: Okay. We’re going to take some listener questions, audience questions. Go ahead. WOMAN IN AUDIENCE: I would like to address the comment that Kerry’s been in office for 20 years. He’s like Ted Kennedy. What’s going on in the Democratic Party. They are bickering over seniors with getting prescription drug plans. There are millions of people in this country without any health care at all. We do not have… We do not have a sane, renewable, energy policy. We have the greatest capacity in the history of the world to bring non-violent conflict resolution to the world. We’ve done none of those things. And I think that having, saying that Kerry has been in there for 20 years and Ted Kennedy has been in there for 20 years, that doesn’t hold anything with me, because what have they done on these issues? I’d like to address that. MARK GREEN: You say, what have they done on, let’s say, health care? Some people in the audience yelled “nothing.” You got to be kidding? Ted Kennedy failed to get universal health care, not because he didn’t push it, but there are people called Republicans who got elected and defeated him in the Congress. So, I agree, this country, since Truman to now, especially in the last four years, has not done enough on health care, and we have more uninsured people in the last, actually, 11 years, not because of Ted Kennedy, or John Kerry, or Bill Clinton, but despite them. The Republicans control the Congress, and if you want to… and the White House. And if you want to change the issue of health care, let’s elect a Democratic President and a Democratic Congress so Ted Kennedy’s bill is… Ted Kennedy is the chairman of the committee pushing for universal health care. I’m… I don’t think that you can disagree with that. MARK GREEN: It was defeated. Bill Clinton, of course, pushed for a cockamamie, but a version of health care that would make health care more accessible and affordable. He was defeated. He was defeated by the hospital insurance lobbies, who stopped it in the Congress. I guess you could blame Clinton for that, and that happened in the 1994 off-year elections, but you would agree it failed not because of Bill Clinton, but because of the Republicans and the special interests who wanted to defeat it. ROBERT SCHEER: Yeah. I just want to… I just want to, first of all, the whole thing about this is, there’s a big difference between Ted Kennedy’s voting record and John Kerry’s, but let’s not get into that. I want to pick up on something that you said about reconciliation. Whoever asked the… Conflict resolution. The fact is, and this is what I think you’re ignoring with this comment on Kerry, they voted for authorization, first of all, giving up their responsibility as Congress to declare war, to investigate, but they gave the President the power to bypass the United Nations. You know, so, in all of this verbiage we hear, and what the President did today on “Meet the Press,” and I hate keep referring to “lies,” but the idea that he could go on “Meet the Press” and not be asked this question, “Why didn’t you let the U.N. Inspectors do their job?” You know, after all, we founded the U.N. It had the great hopes for bringing about peaceful, you know, reconciliation to these issues, peaceful ways of investigating. And what this administration cannot deny is that the U.N. was doing its job splendidly. Splendidly. And the Administration said, “You aren’t looking in the right place.” First of all, they should have told them where to look. You remember what they said about Hans Blix. They said, “You’re being fooled, you don’t know what you are doing.” So, the real problem here, and I think, Kerry would have to say it, Kerry would have to say, “I voted incorrectly because it betrayed the principles that Eleanor and Franklin Roosevelt believed in, of trying to develop some kind of international responsibility through the U.N. to produce a more peaceful world. That’s where Congress is wrong, and that’s where his vote was wrong. AMY GOODMAN: Robert Scheer and Christopher Scheer, co-authors of the new book, The Five Biggest Lies Told Us about Iraq, debating the co-chair of the Kerry for President campaign here in New York, Mark Green, former Democratic nominee for mayor, and co-author of The Book on Bush: How George W. Misleads America at a forum by WBAI, Pacifica station in New York, yesterday at the CUNY grad center that I moderated. Final comment, Christopher Scheer, in our studio today on Democracy Now!. CHRISTOPHER SCHEER: Yeah, I’d just like to say, it’s not an esoteric debate we have here on the issue of Kerry versus, and the Democrats versus. What we have is an issue of, “Is this a mistake, were mistakes made, or was a campaign of lies built, that have really gotten us into a lot of trouble?” And there’s a big difference between saying that the occupation was incompetent or poor intelligence was produced. The bottom line is, we are in the wrong war for the wrong reasons; and until Democrats and other moderates accept that and charge forward with that, we will simply make the same kind of mistakes on our foreign policy that got us deeper and deeper into Vietnam. ROBERT SCHEER: Yeah, we’re living in an Orwellian world in which lying is the policy. And what this book… And I know some people on the left think they don’t need the book. We’ve sold out our first 30,000 copies more in Republican areas than Democratic, because they think they need the book, because it’s a study of the language of lying. And Americans had better get very sophisticated, very hip, about how they’re being lied to, and see through it, because this administration is better at lying than any I’ve seen, and I have been around for quite a long time. AMY GOODMAN: Well, I want to thank you both for joining us, also encourage people to go to our website at democracynow.org. When Democracy Now! was up in New Hampshire for the primary, we had a chance to ask the candidates the question of why they, all of them running then, except for Congressman Kucinich and Reverend Al Sharpton, did themselves say they believed that Saddam Hussein had weapons of mass deception, and it was a very interesting piece that Democracy Now! correspondent Jeremy Scahill did on their responses and whether they would say at this point that they were wrong.